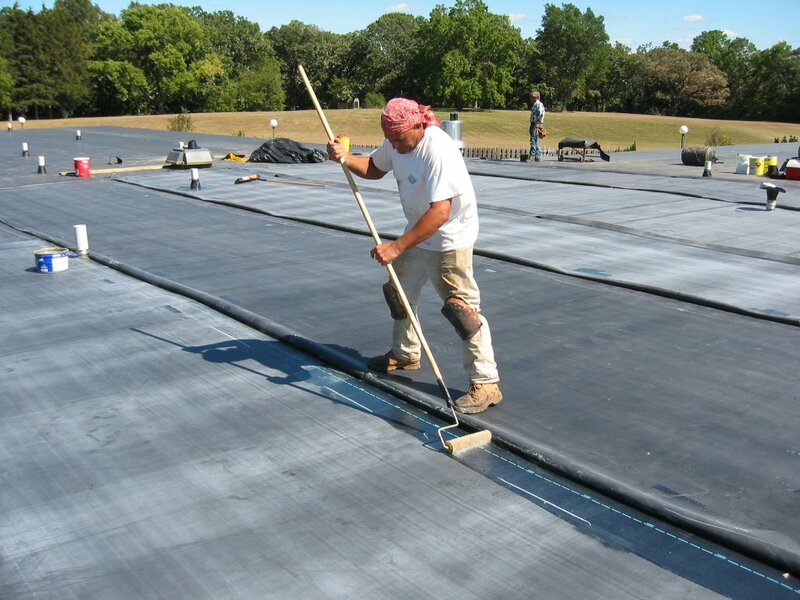 The EPDM (ethylene propylene diene terpolymer) rubber roofing membrane has been an appealing choice of the low-slope commercial roofing industry for over 40 years. EPDM continues to be a top choice of architects, roof consultants and contractors for both new construction and replacement roofing projects. EPDM’s high resistance to wind damage has also proven to be an increasingly desirable attribute. These roof systems can be designed to meet a variety of wind uplift criteria from Factory Mutual, including 1-60, 1-90, and 1-120 ratings and greater, and the stringent code of Dade County, Florida. Architects, roof consultants and contractors have come to depend on EPDM’s time tested, long-term performance. Please note that EPDM is a commercial roofing product, designed to be used in non-residential roof systems.